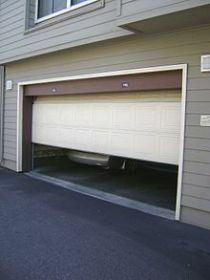 If you have trouble with the opening and closing of the garage door then you might need to replace the springs, but do this only if you observe that the springs are completely worn out or broken, otherwise a little adjustment might be sufficient. And it is advisable that you call an expert if your door uses torsion springs. Before starting gather the tools you will need: wrench set, a drill, C-clamps or vice grips and a heavy-duty eye bolt. 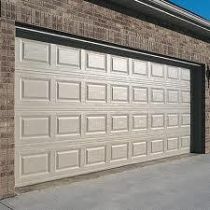 With the help of a friend, because the door will be heavy, detach the garage door using the c-clamps or vice grips and secure it in a stable place. 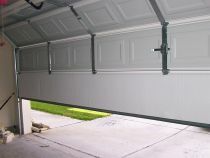 At the back of the door rail you will see the spring’s mounting point, detach it and just above the garage door opening you will find the lift cable’s connection point to the rail of the door which you need to detach as well. Now you have to wrap the loose lift cable round the pulley or sheave in order to loosen and free the extension spring. 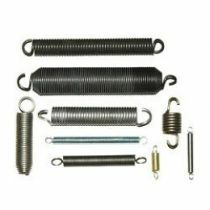 Remove the spring, then connect the eye bolt at the back hanger of the horizontal track, with the eye bolt opening in the direction of the ceiling. Tighten and secure the bolt with a wrench. Now take the new spring and put an end over the fixed bolt, insert an U-shaped clip through the other end of the spring and attach the front pulley of the door to the spring. The pulley should be fixed between the ends of the U-shaped clip; now secure it with bolts and nuts. Then insert the bolt through the track flag from the inner part of the track and fix the pulley with a nut. Next pull the cable over the spring pulley by threading the end of the cable on the top, then pulling it back through the bottom of the pulley. 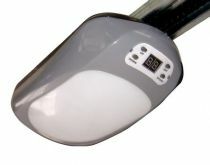 Once the spring is installed you will have to adjust the tension in it by choosing the proper hole in the horizontal track then wrap the cable through the front hole on the holding plate and pull until the spring is a little stretched. Using the nearest adjusting hole, you should align the other end of the hole plate. Loop the cable through the center of the hole then below yourself and, in the open end of the holding plate, place the hook in one of the adjusting holes. Now, just over the eye bolt, let an end of the safety cable slip then secure it in place, tying its other end to the last of the adjusting holes. Proceed to do the same for the other spring. 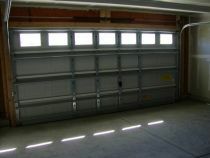 Remove the clamps, put the door back and test it – lower and raise it several times.